These shape-shifting galaxies have taken on the form of a giant mask. 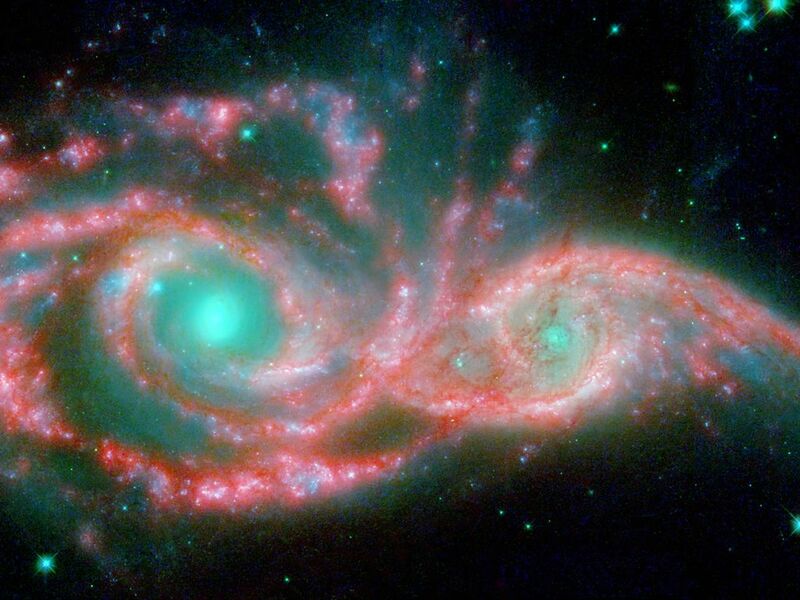 The icy blue eyes are actually the cores of two merging galaxies, called NGC 2207 and IC 2163, and the mask is their spiral arms. 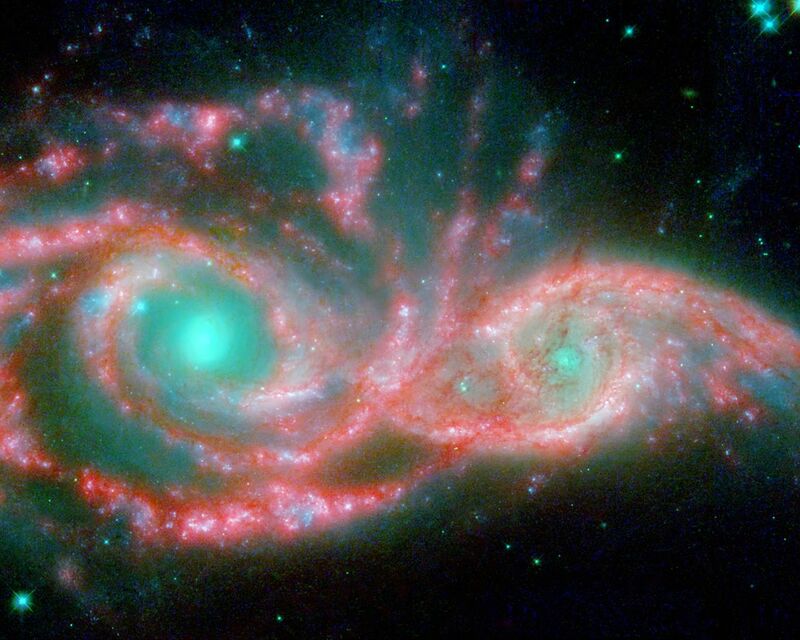 The false-colored image consists of infrared data from NASA's Spitzer Space Telescope (red) and visible data from NASA's Hubble Space Telescope (blue/green). 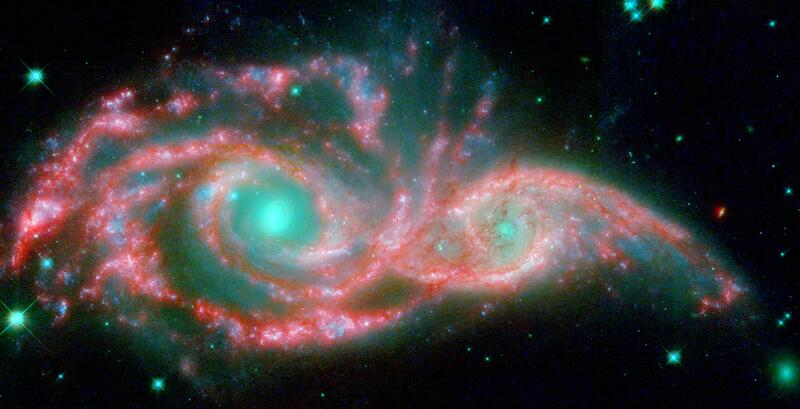 NGC 2207 and IC 2163 met and began a sort of gravitational tango about 40 million years ago. 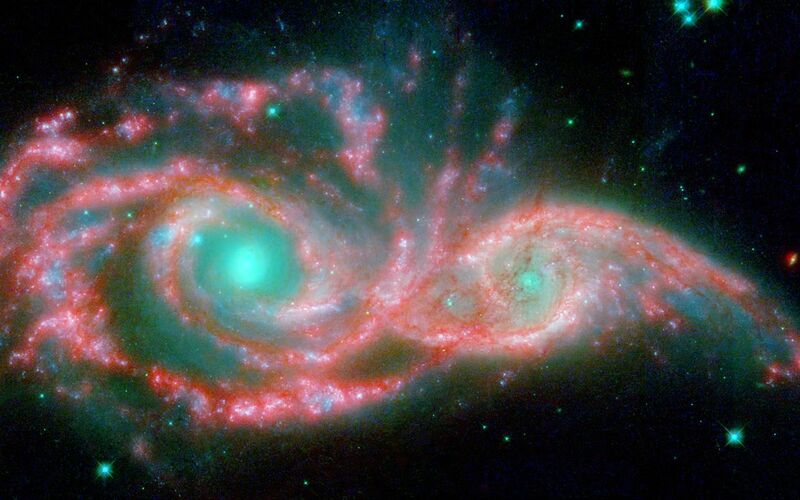 The two galaxies are tugging at each other, stimulating new stars to form. Eventually, this cosmic ball will come to an end, when the galaxies meld into one. The dancing duo is located 140 million light-years away in the Canis Major constellation. The infrared data from Spitzer highlight the galaxies' dusty regions, while the visible data from Hubble indicates starlight. In the Hubble-only image (not pictured here), the dusty regions appear as dark lanes. The Hubble data correspond to light with wavelengths of .44 and .55 microns (blue and green, respectively). The Spitzer data represent light of 8 microns.